Technology is great when it works properly. As our dependence on technology has grown, the information architecture networks found in most law firms have gotten more sophisticated. On a parallel track, the risks from cyber security terrorists have expanded and also grown more sophisticated. As a result, many law firms have opted for IT maintenance as a subscription service. Making the decision to partner with a managed service provider has clear benefits for the small, medium, and enterprise-level law firm. This article takes a look at the ways these technology experts can help law firms. Here’s what you need to know. We spoke with our clients and determined five key reasons they made the switch to a managed service provider relationship. 1. First, managed service providers can help you reduce expenditures on network equipment. Computer World suggests IT infrastructure costs are increasing. A managed service provider can help you cut costs by migrating some vital functions to the cloud. They are also expert at working to maintain existing on-premise equipment properly so it lasts longer. 2. Second, managed service providers can help you reduce network downtime. If you’ve been frustrated by servers that are slow to respond or data that can’t be downloaded, an MSP can help. If you’re experiencing complete system failures and outages of critical business functions, an MSP isn’t just a desirable solution – it’s a necessity. 3. While this is third on our list, mitigating cyber security risk is certainly top of mind for law firms. The issue with security is that the threats are constantly evolving. You need a team of application experts to be able to stay ahead of the risks in order to protect confidential client and critical firm data. 4. Managed service providers offer 24/7 support that protects your firm from external threats while maintaining the efficiency of the network. Having an MSP means there is a technology team dedicated to more than just fixing problems as they arise. MSPs also focus on actively making improvements to the technology architecture so that it functions more effectively and more quickly. 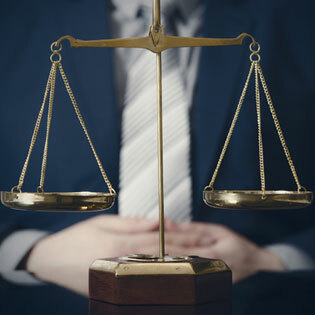 Increased uptime and improved cross-functional efficiencies are big plusses for lawyers. 5. Finally, managed service providers help you integrate new platforms more easily while improving the interoperability of disparate line of business applications. From content and document management systems to client billing, these platforms often do not play well with each other. This means multiple redundant processes in workflows that add time and increase the risk of error. If you’re concerned about the efficiencies of your internal technology systems, an MSP can help. Partnering with a managed service provider is increasingly desirable, especially for the growing firm with other priorities in mind. Critical business functions simply do not exist without properly functioning networks that drive the business. Embracing the idea of managed technology services mean you trust these functions to experts that are completely devoted to your business.